Chrysocolla encourages self-awareness and inspires creativity while drawing out negativity and providing motivation for those in need. This beautiful Raw Chrysocolla is approximately W 5 cm x L 5 cm x D 5 cm in size and weighs approximately .116grams. The Raw Chrysocolla pictured will be the Raw Chrysocolla you will receive. Plus a free copy of our "Crystals and Minerals Metaphysical Properties Guide" by PEACE LOVE CRYSTALS*. 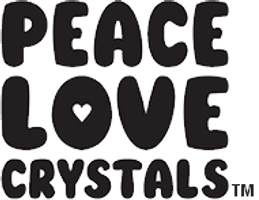 *All online orders will receive one free copy of our "Crystals and Minerals Metaphysical Properties Guide" by PEACE LOVE CRYSTALS. This guide comprises over 160 Crystals and Mineral's metaphysical properties. Our guide will also provide some information on Chakra and Zodiac crystals. All our crystals are surrounded by positive energy, however we recommend you cleanse, charge and program your crystals by following the information provided in your free guide or click here for more information. If you have any questions or require more information please do not hesitate to contact us, click here.